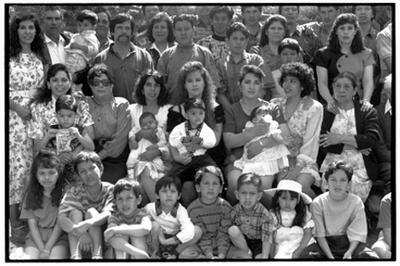 The extended family of Agustin and Elvia Ramirez. Members of this family began immigrating from Zamora, a city in Michoacan in Mexico, three decades ago. They now live in cities across northern California, and get together for family reunions annually in Merced.